This Nord piano 3 review will better illustrate just how brilliant this digital piano is in comparison to others in its range. 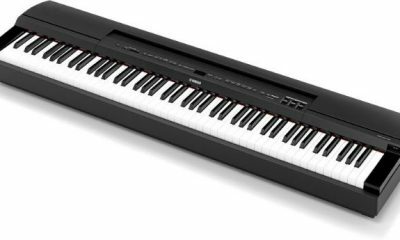 This instrument is of very high quality and could arguably be one of the best digital pianos at present. Let us take a closer look in its specifications and features. Let us look at the key features that come with the Nord Piano 3 below. 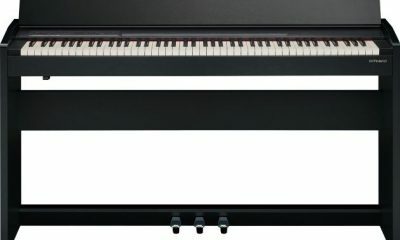 The Nord Piano 3 uses the new Triple Sensor keybed technology. Despite not having an actual hammer action application to its keys, this piano gives tremendous nuance and depth. This Triple Sensor keybed allows the key movements to be determined with great precision. This ultimately results in dynamic playing with amazing control at any level of velocity. The sounds of this digital piano are top notch. These are carefully selected exclusive sounds from the Nord Piano library that have specific character to them. The expanding Nord Piano Library is full of uniquely sampled acoustic and electric instruments. Additionally, the sounds are full and varied with its factory bank featuring Harpsichords, 5 Upright Pianos, 6 Grand Pianos, Clavinet and 11 Electric Pianos. Also, you can get other different downloadable piano sounds from the Nord website. The Sample Synth section has 256 MB memory that holds the Nord Sample Library 2.0 – Nord’s essential selection of high quality sampled sounds. These come from a wide range of genres that includes exclusively licensed sounds of the Mellotron and Chamberlin. There is also an included software, the Nord Sample Editor which you can use to create your own sample instruments. The software can also assist you in looping and mapping the sounds you create. The Nord Piano 3 come with an improved crystal clear OLED display, as opposed to the conventional LED display. This gives a great overview when selecting and editing Sounds, Effects and Programs especially when on stage. The new Organize function also allows you to easily rearrange the order of Programs, Pianos and Samples. On the rear panel, there is an Audio output from a single stereo pair of quarter-inch sockets as well as a quarter-inch stereo headphones socket. Next, there is a 3.5mm input provided for accompaniment purposes. However, audio presented to this is only directed to the headphones output. You will also find two pedal inputs, one for sustain (damper) and one for the expression pedal that also controls the volume or variable parameters in the Effects 1 section. Additionally, there is also MIDI connectivity provision via five-pin MIDI in and out sockets and a USB interface. The latter supports data transfer for OS updates, loading and backing them up from the sample libraries. The MIDI streams are simultaneously sent and received from both interfaces. From the Nord Piano 3 review, we can see that this piano is a high quality and robust instrument that offers dynamic piano sounds. This piano can be quite pricy for a beginner, but if this isn’t an issue, it’s a great instrument to grow with, musically. That said, this would be a good fit for the travelling pianist or musician. What do you think about this amazing digital piano? Leave a comment in the below comment section.